The US-North Korea nuclear talks haven’t progressed since Donald Trump and Kim Jong Un met in Singapore last June, mainly due to decades of deep enmity and mistrust between the two countries. Holding their anticipated second meeting in Vietnam could enable the two sides to overcome such hostility and distrust. Judging by the comments from Washington and Pyongyang, as well as other developments since the beginning of 2019, it’s almost certain that the US president and North Korea’s leader will meet again in the coming months. In his 2019 New Year speech, Kim expressed his willingness to see Trump again “at any time.” Kim’s recent Beijing trip is also widely seen as a prelude to his second encounter with the US president. In comments made on January 6, Trump said the two sides are “negotiating a location” for the meeting, adding that he would announce the chosen venue in the “not-too-distant future.” It has even been reported that he proposed holding the summit in Vietnam. 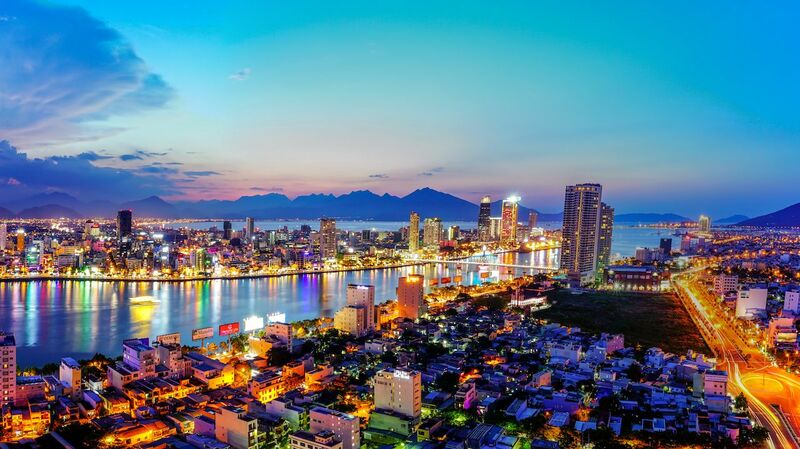 Indeed, over the last few days, the Southeast Asian nation has been touted as a top candidate for the event, with some international media speculating that the location could be Hanoi, the country’s capital, while others mentioned its coastal city of Danang. Actually, Vietnam had been suggested as a neutral location for the first Trump-Kim meeting, which eventually took place in Singapore on June 12 last year. It is unsurprising that Vietnam was seen as a possible location for the first Trump-Kim summit and is now emerging as the most likely venue for their second meeting, because, both logistically and symbolically, it would be an ideal site for such an event. Like Singapore, Vietnam has diplomatic relations with both the US and North Korea, with both nations having embassies in Hanoi. Also, it isn’t too far from North Korea. The air travel distance between the two countries is about 4,000km, which is well within the flight range of Chammae-1, Kim’s personal Ilyushin-62M jet. The North Korean ruler, who is wary of flying, can even travel to Vietnam via mainland China. All of this makes it easy for US and North Korean officials to arrange the event and, especially, for Kim to travel to and from Vietnam. Both Hanoi and Danang – the central port city that hosted world leaders, including Trump, China’s Xi Jinping and Russia’s Vladimir Putin for the Asia-Pacific Economic Cooperation (APEC) summit in November 2017 – can provide adequate facilities and security for the summit. Vietnam isn’t, however, just a location of convenience for Trump and Kim to hold talks about nuclear disarmament and US-North Korea ties in general. It’s also a very symbolic place for such a high-stakes summit. In fact, he regarded Hanoi as “an ideal choice” because it could meet “three criteria that are important to a successful outcome” – with one of these being that the US and Vietnam – two former war enemies – had “reconciled [their] past grievances” to form a cooperative and successful partnership. But Danang would also fit the bill. It could even be a more fitting venue. The first conventional American combat unit deployed in Vietnam landed on a beach in Danang in 1965. During the deadly conflict, termed the Vietnam War by Americans and the American War by the Vietnamese, the US used its air base in Danang to store Agent Orange, a defoliant chemical that has caused cancer, birth defects and other serious health problems. 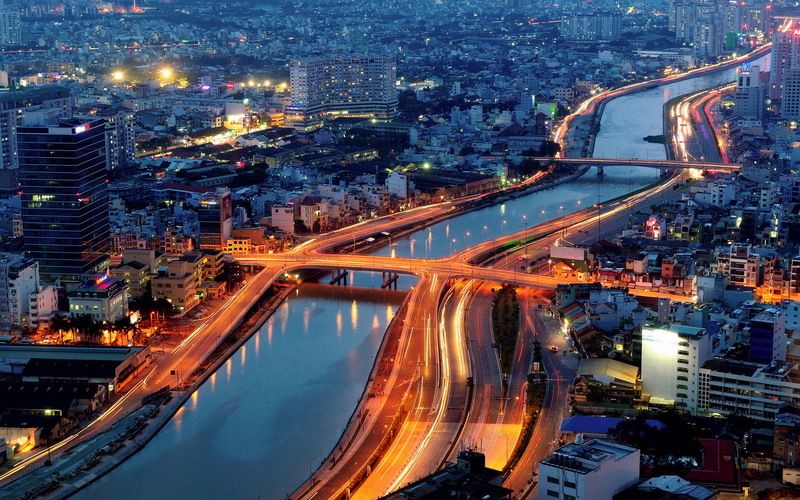 Yet, the once-poor and rural area, which was badly damaged by the war, is now Vietnam’s third-biggest metropolis – a vibrant economic hub and a favorite destination for foreign tourists and investors. Such a remarkable transformation would be impossible if the ruling Communist Party of Vietnam (CPV) had not opened up the country and established ties with Western nations, notably the US. In that sense, Vietnam would be an ideal place for the Trump-Kim summit, whether it is held in Hanoi or Danang. Tensions have significantly decreased since last June. The US has suspended its joint military exercises with South Korea, while North Korea – or the Democratic People’s Republic of Korea (DPRK) – hasn’t conducted a missile and nuclear test. However, fundamental disagreements persist. In his 2019 New Year message, Kim warned that he will take a “new path” if the US continues sanctions against his regime. But on January 6, Trump insisted “the sanctions remain in full force […] until we have some very positive proof [of Pyongyang’s denuclearization]. Their talks didn’t advance simply because they lack mutual trust, which, consequently, prevents either side from making the first move. Building trust and making the first positive move toward each other after nearly seven decades of deep enmity are, of course, very difficult. But, by choosing Vietnam as the venue for their talks, Vu Minh Khuong argued, Trump and Kim would show that they are serious about fundamentally shifting toward one another. More precisely, for the North Korean leader, such a choice would clearly signal that his reclusive and regressive country would take preparatory and necessary steps to establish ties with the US and, indeed, join the international community. Some experts believe choosing Vietnam would invite a comparison between North Korea and Vietnam and Kim doesn’t want to imitate another communist country’s efforts to modernize its economy because the young dictator is wary of outside investment, which he believes could weaken his grip on power. Others say lauding Vietnam as a role model for North Korea is wrong because there is no parallel between the two communist countries. It’s true that, in many respects, North Korea now is not Vietnam in the mid-1980s, when it began its Doi Moi – a reform process that led the then deprived, isolated and regressive country to open up economically and, to a lesser degree, politically, paving the way for it to establish ties with many other countries, including the US. It’s also probably true that what Kim cares about most is his regime’s security and survival, and opening up economically could put his hereditary and totalitarian rule at risk. Yet, the Vietnam-US rapprochement and the many positive outcomes it has brought about shows that US-DPRK reconciliation is possible and advisable. Indeed, it’s central to any progress in their nuclear talks and their overall interaction. 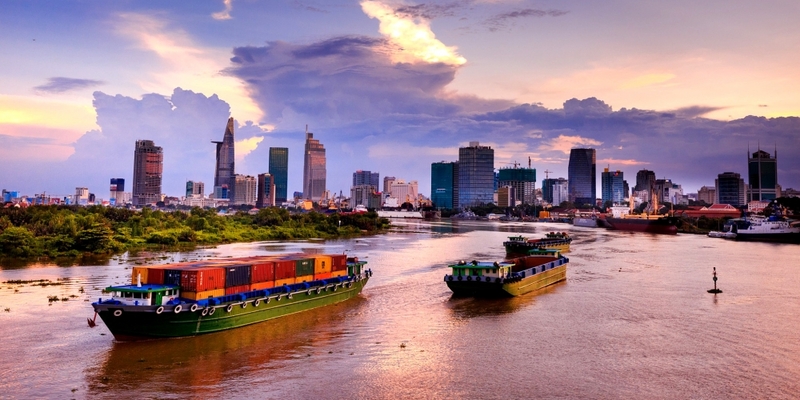 Though the Southeast Asian nation still trails behind many of its regional peers in several aspects, the country is now in much better shape than it was three decades ago. Vietnamese leaders don’t have to travel to Beijing to seek advice and guidance on their domestic and foreign policies – or at least not as much as Kim Jong-un has recently. All this is possible primarily thanks to the courageous decision to implement reforms that the CPV made at its 6th national congress in 1986. To move his country out of destitution and isolation – and even to better secure his dynasty – North Korea’s young leader should undertake a similar endeavor. Admittedly, if the survival of the communist regimes in Beijing and Hanoi after their opening-up in the 1970s and 1980s, respectively – and the tragic collapse of Iraq’s Saddam Hussein in 2003 and Libya’s Muammar Mohammed in 2011, are any guide, it is economic development and good ties with the outside world – rather than nukes – that guarantee the survival of an authoritarian regime. Kim also needs to make such a move first in order to receive international support. After all, it is his grandfather’s, father’s and now his own regressive and aggressive policies that have led to North Korea’s international isolation and sanctions. The sooner he does it, the easier and the better it will be for his people and regime. It was widely agreed that Vietnam’s 1986 Doi Moi and its normalization of ties with the US in 1995 helped to transform the country. But many people believe that if the CPV leadership had made such moves earlier, the country would now be much better. There seem to be some positive (albeit very vague) signs that Pyongyang may realize that it needs to change. Early last month, North Korean Foreign Minister Ri Yong-ho made a four-day trip to Vietnam, which South Korea’s Yonhap News Agencydescribed as a fact-finding mission to learn about Hanoi’s Doi Moi. During his meeting with Ri, Vietnamese Prime Minister Nguyen Xuan Phuc also said his country was willing to share its reform experience with Pyongyang. And if Kim accepts Trump’s reported proposal to meet him in Vietnam in the coming months, that would be the clearest hint yet that he will take his country in that direction.